Amy's Creative Pursuits: Happy Halloween Little Monsters! Happy Halloween everyone! 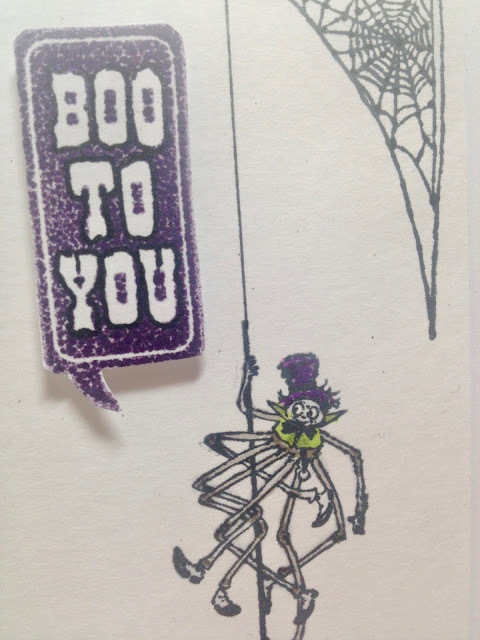 I don't have a costume to show you as I will not be doing anything for Halloween but I do have some cards to share. 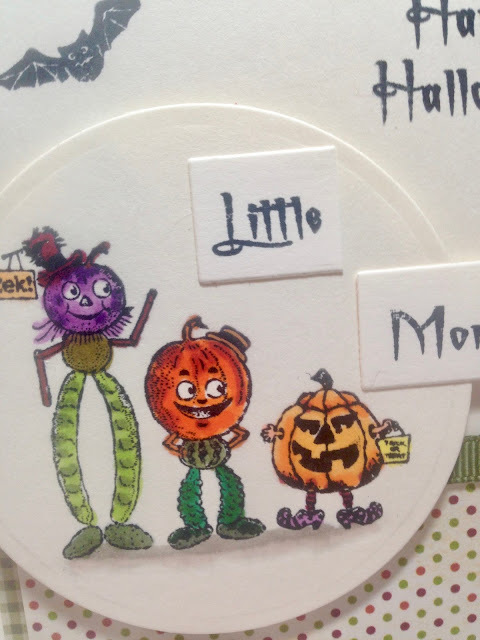 I made them for my children and sent them along with some fall treats and a little toy for Alethea. This is the card I made for my daughter, son-in-law, and their new baby girl. 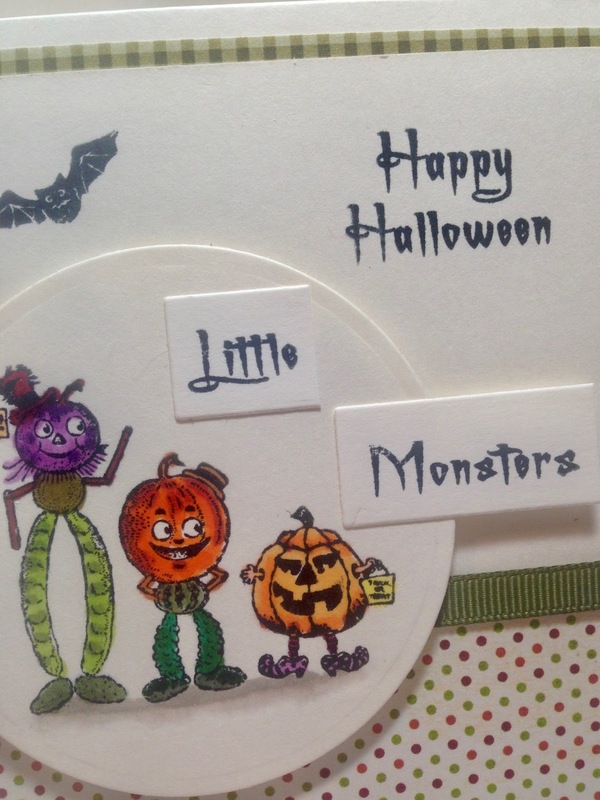 Notice there are THREE little monsters? These are old vintage Halloween images by Crafty Secrets. I stamped the main image on a circular panel and then popped it up o dimensionals. 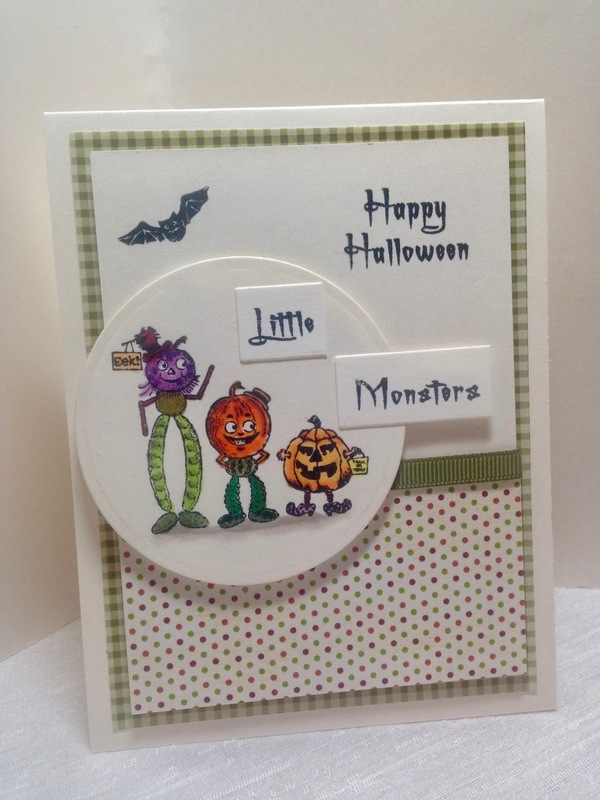 I then stamped the sentiment on the main panel, and added the "Little Monsters" sentiments on separate pieces of hand cut card stock. A little stamped bat in the corner rounded out the card. 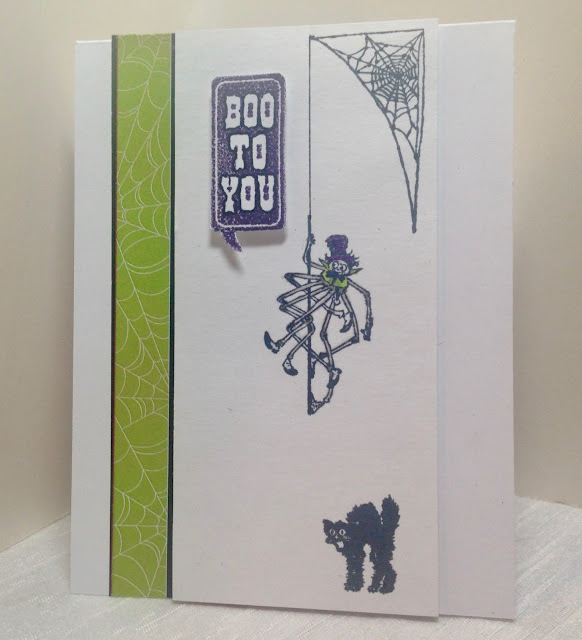 I used fall patterned paper as an accent and added just a touch of olive green ribbon. 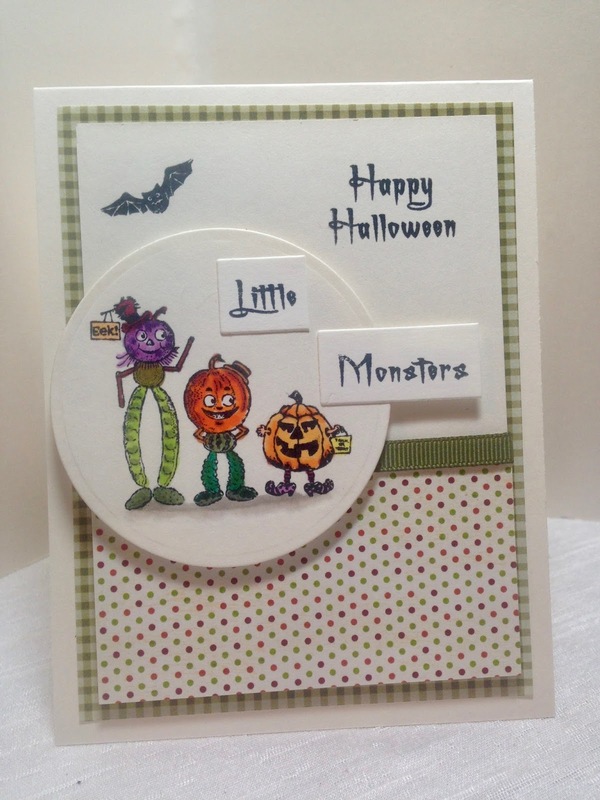 My next card I made for my son. I used Halloween images from the same Crafty Secrets set. The "Boo To You" sentiment was stamped in purple ink then hand cut, and popped up on dimensionals. The main image panel is also popped up. 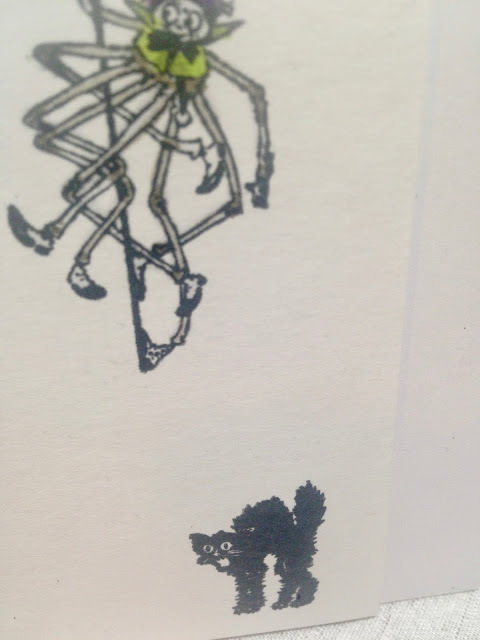 The black cat, spider, and spider web were all stamped directly on the main image panel in black ink. I colored the spider in just a little bit. 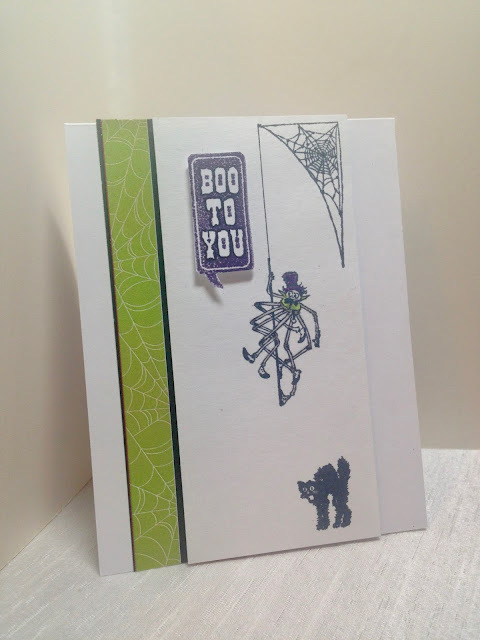 I had some fun spider web designer paper that I added to the edge of the card for more interest. And here are my "Little Monsters" all dressed up for a Halloween Party. Ashley and Alethea are both dressed up as ballerinas and Jason is the ballet orchestra conductor. My son Jordan also went to this same party, but they did not send me a picture of him. I was told he dressed up as Home Improvement guy. Ha-ha! Haha! Love that your kids went to the same party- I guess your kids live by each other? That is nice! I love the ballerina and orchestra conductor idea! Alethea looks like she wants to nibble on her tulle skirt! lol! So sweet of you to send cards and treats to your kids still! They don't just live by each other, they live WITH each other. And oh yes, I will never stop sending cards and treats to my kiddos. They are never too old! Thanks Elli! I don't know if Ashley & Jason plan to enroll her in dance. Ashley didn't take dance lessons, but she took everything else. Jason however took dance lessons his entire life.